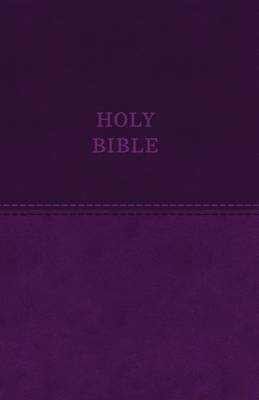 The Thomas Nelson KJV Value Thinline Bible, featuring the timeless beauty of the trustworthy King James translation, is affordable, lightweight, and convenient-ideal for everyday use. Striking the perfect balance between portability and readability, the KJV Value Thinline Bible fits easily in purses, backpacks, or glove compartments. Wherever you're going, the KJV Value Thinline Bible is built to travel with you. This easy-to-carry Bible comes with features that will enhance your reading experience, including beautifully-designed covers, an all-new typesetting in the elegant and readable Thomas Nelson KJV font, a ribbon marker, and the words of Christ in red.